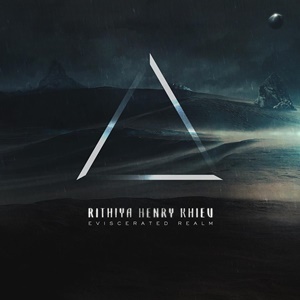 Returning quickly after his debut EP offering The Finite Cycle, guitarist/multi-instrumentalist Rithiya Henry Khiev took his head and heart into a pure instrumental outing for the follow up Eviscerated Realm. 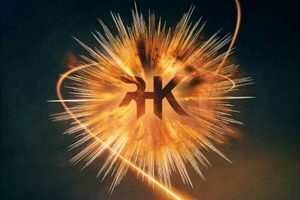 The man has a wide spectrum of influences within metal and outside as well – which bodes well for the listener as these five songs showcase the diversity and varied approach that his songwriting and performances take to intrigue, captivate, and let each aural outing linger that much longer. Cascading keyboards free float into Rithiya’s equally nimble guitar layers and shred activity on opener “Kepler” – but there’s always a key riff component and melodic nuances that he continually builds upon that keep things catchy, no matter what the style of progressive, epic, neoclassical, or djent/death combinations present. The choice of tones exemplifies an explorative freedom that engages senses of sight and sound that feel outer galaxy on the follow up “Restrained Escape” – upward and downward motions that feel comforting in a Nevermore meets In Flames classification, the closing piano strains alluring as well. He’s not afraid to place horror soundtrack choirs or booming Dimmu Borgir-like orchestration into an otherwise thrashy meets jazz fusion offering for “Research Hindered” – the measured lead break a thing of beauty for those who love Alex Skolnick and Jeff Loomis, the Latin touches another surprise that works for the shape-shifting nature. It’s clear throughout that Rithiya can be extreme in his riffing and accents one measure, but then turn on his quieter or introspective stance in another – proving the man’s love for metal and instrumental music in general gives him a proper blank canvas to fill in any way he chooses. Four of the compositions are relatively tidy, but the closing “Blackened Heart” at almost eight minutes explores his epic side, bouncing between four-five different sub-genres of metal and allowing Rithiya leg room to expand thoughts comfortably. Eviscerated Realm elevates Rithiya as a serious player in the instrumental metal scene – as he understands that balance between solid musicianship and catchy hooks, which will keep people pinned for more.